Furthering your education is a good investment, but you want a degree that will pay. Check out Washington’s top community colleges by earning potential. The Evergreen State has a rich community college system, with 50 two-year colleges to choose from (12 more than the number of four-year colleges!). Top employers include Microsoft, Boeing, Sea-Tac Airport and a variety of medical and military centers. Almost all are public colleges. 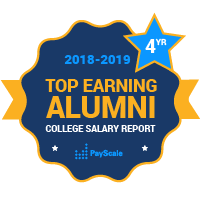 Data provide insight into the top-earning alumni. Looking at another factor in considering the best career colleges in Seattle, the school with one of the largest percentage of students who have a high sense of meaning from their careers come out of Lake Washington Technical College. One of the lowest percentages comes from the Art Institute of Seattle.